There are various amenities in Siva Bharathi Shiva Residency with to name a few. Shadnagar also known as Farroqnagar is an upcoming town in the Mahabubnagar district of Telangana. Rajiv Gandhi International Airport at Shamshabad is nearest to this area. There are small-scale industries in the Kothur industrial area located in the vicinity thus attracting various working professionals to settle in and around this locale. Lord Venkateswara Swami and Rama Lingeshwara temple is a historic place close to this area. The area also has prominent educational institutes, healthcare centres, eatery joints and other entertainment avenues. The presence of basic establishments has transformed this locale as one of the best residential areas of Telangana. 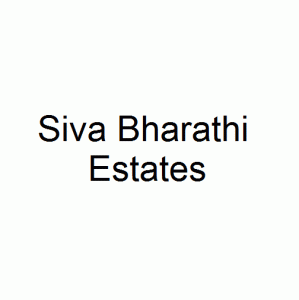 Siva Bharathi Estates was founded with an aim to develop properties in Residential, Commercial and Retail Sectors. Having been in the industry for a long time, the organization concentrates on attaining excellence in construction industry. Passionate about quality, Siva Bharathi Estates believes in giving its customers the kind of living space that no one can replicate. It is an organization where quality meets aesthetics and passion meets perfection. It is the group's distinct philosophy, vision and core values that differentiate it from other development groups.